What if you were made to listen to a Raga since you were in your mother’s womb? Yes, you would be interviewing as a successful musician with us and that’s what the prodigy - Diva Savla’s journey is all about. Been learning classical music from various Gurus, Diva started performing in school when she was in junior KG (The time when we couldn’t even write our full name). 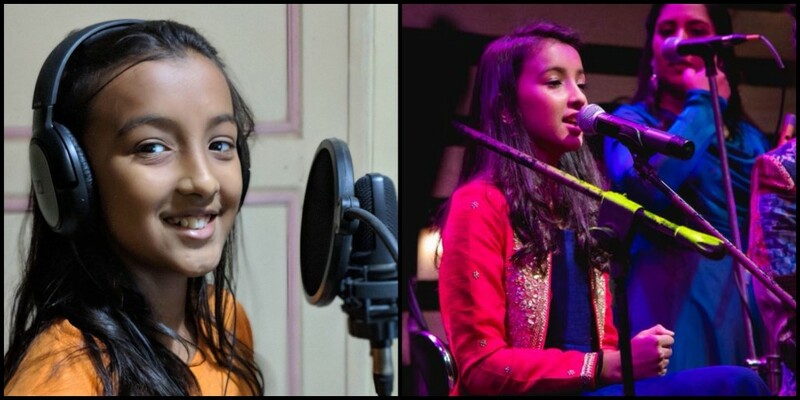 This young songbird is currently learning classical music and performs at local gigs in Mumbai. 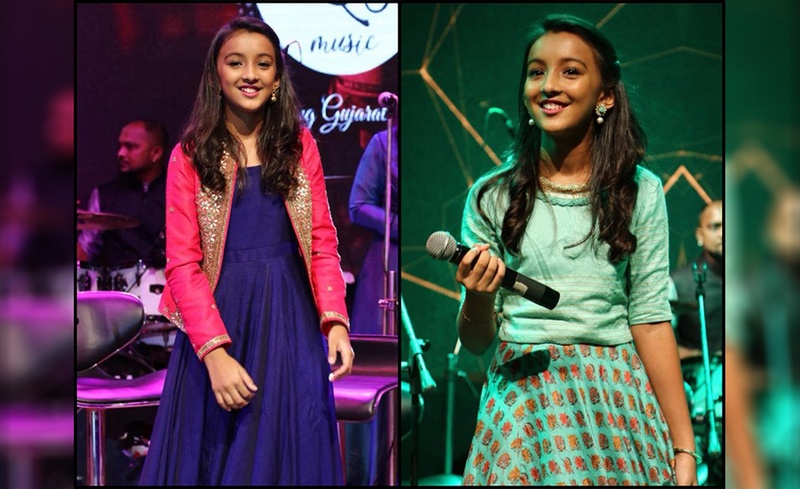 We would love to see her perform with her idol, Shreya Ghoshal someday. We are really keen to know; how did your journey begin? I was exposed to classical music when I was in my mother’s womb. I was nearly a toddler when I began, and I met my music teachers in MET Rishikul Vidyalaya. When I was in junior KG, I went to perform for the first time on stage. During senior KG, I learnt from my friend’s mom Malvika aunty, we used to sing some casual English songs. From 1st standard, I was introduced to Ustaad Hafiz Khan and Reshma ji who taught me basic and advanced classical music. Every year we would have live music performances during Guru Purnima and that’s where I got more inspiration looking at other performers. My performances in school and during small community programs (where my mother pushed me) also helped build up my confidence on stage and I started liking all the excitement that goes with stage performances. Today I’m performing live on stage with Dileish Doshi, Dravita Chokshi and the likes. I’m working on mash-ups with Sajan uncle and making my own music videos. I feel my journey has just started. What were the hardships / hurdles your encountered and the way you overcame in your journey? I had swollen Adenoids due to which I often got throat infections, cough and cold. Once, before my performance it was so bad that I could hardly talk, and I felt my voice has disappeared. I panicked and cried that day. But with my mother’s help, I was able to get my (really sore) voice back with home remedies (right before the show). Luckily, everyone knew that my throat was gone and despite that I sang very well and got a lot of appreciation. That day onwards I started taking extra care of my throat with home remedies and avoiding a lot of food like ice creams, cakes, etc. that I love. For a kid, that’s the biggest hardship, to sacrifice and not being able to enjoy these delicacies when everyone around is relishing them. You’ve got to learn from the failures and improve upon your mistakes to succeed. That’s what happened with me during a competition where I had a better chance of winning, but I still lost because of my mistake but, I came out of the competition an emerging as more than a winner, because I learnt that for me to be something in the music world, I must focus harder, learn and practice every day and perform better. Yes, music is soothing and improves my concentration. Whatever the situation is, it makes me feel calm and happy. I turn to music when I have something on my mind. I listen to Singers like Arijit Singh, Shreya Ghoshal, Maroon 5, Selena Gomez, Falguni Pathak and admire their singing a lot. Their songs depict who they are which is what I really like about all of them. My parents were always supportive, and they just wanted me to have fun and be exposed to the real music scene, so I had always taken part in school, community and our Guru Purnima programs. When I participated in a competition at Radio City, I was pushed out of my cocoon. I went off tune in one of the songs, but with the other two songs I was good. That’s where I had my ‘I am good but need to get better moment’ as I have a long way to go. I realized that I could do much better, as I caught mistakes that others couldn’t, and I knew how to improve upon them. And the appreciative words of the audience and judges have always given me more strength.Now as I perform on stage as a child artiste, I get a lot of compliments. Even my music videos get a lot of appreciation from unknown people. That gives me a lot of confidence. Yes, currently I am training under the guidance of Qadir Ustaad sir and Anita Goswami. I am learning a lot from my co-artistes like Dileish uncle and Sajan uncle. Earlier my Gurus were Ustaad Hafiz Khan and Reshma ji. My first ever teacher Ms Pari from MET Rishikul Vidyalaya and Malvika aunty. Any age is okay if you are enjoying the activity. The mindset must be that of enjoyment and fun and then only real learning can happen. A little discipline is required, and my mom has always pushed me to do Riyaz almost every day, even if sometimes I don’t feel like doing so. Technology is Playing a very important role. Because of technology, my music reaches thousands of people and I am getting more appreciation directly from people, also I can talk to them. Because of technology, the speed of making new music or editing old music has reduced so much that anyone can easily learn and create their own music. If the child is enjoying the activity and he/she wants to learn, then give them all the freedom to learn. Don’t force them to get involved in any activity if they aren’t interested in it at all. Without passion and interest, it’s impossible for anyone to learn something, forget kids. Diva’s Parents – Diva’s Ustaads have told us that in no way should her studies be stopped or compromised for her music. It’s difficult on the child too, when they must perform on stage during their exams, when they must give up other interests because of practice sessions & performances. It’s a tight rope walk for us, and only time will tell if we made the right choices. Our priority has always been and will always be that she enjoys whatever she does. Diva’s Parents – Diva’s Ustaads have told us that in no way should her studies be stopped or compromised for her music. It’s difficult on the child too, when they must perform on stage during their exams, when they must give up other interests because of practice sessions & performances. It’s a tight rope walk for us, and only time will tell if we made the right choices. Our priority has always been and will always be that she enjoys whatever she does. Diva’s Mom - I am zero in music, but my husband Vishal really enjoys teaching, learning and playing music with her. When she was in womb, we used to put on classical Ragas throughout the night and maybe that’s the reason why she got an interest in music. We remember how once the music started playing, she would move so much in my tummy.Apart from that, it’s very important to keep them exposed to all types of music. And always give priority to what they like. She started singing Gujarati songs after she learnt and played Garba. With English music, she has her brothers and friends to suggest new songs. The important thing is to have a fun environment in the house with music & dance. Can’t really get serious about music, that’s a strict no-no for us. Just love what you do and do what you love. I’m thankful to all my friends, my teachers and family. I am in complete gratitude.